Could you tell the difference..
Thread: Could you tell the difference.. I dont think you could tell the difference. Changes are your legs are more than 1mm different in length. Hey Brad, Why don't you just grind 1mm of the end? but it would always haunt the back of my mind....and then drive me to get matched arms. It is a good point that your legs are probably at least that much different...but would this cancel it out, or make the difference worse (i.e. shorter arm on the side with the longer leg). I guess it really depends on how much you are going to ride it. That's a cool lookin crank. What's "1G1G" mean? Funny story (it's related). In 2001 I bought a new Kona Stinky. I upgraded a bunch of components-drivetrain, disc brakes, etc. and rode the beans out of it for 4 or 5 months. 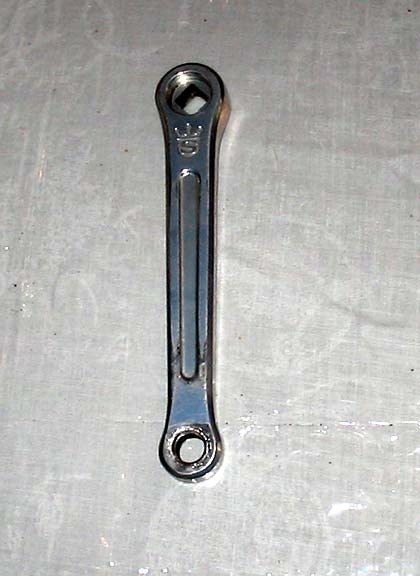 One day I was giving it the once-over and noticed that it had a 175mm right crank arm and a 172.5mm left crank arm. The LBS called Kona who refered us to Truvativ, who sent out a complete new (proper) crankset. The moral-I must not be that sensitive to the difference between the crank arms; it's worth a shot for you if the Sugino is cheap. It was onIy was $8 and I snapped it up. You should actually throw a tape on the two, I'd bet the claimed measurement is not accurate within 1mm. But maybe your the "princess and the pea" kind of person and can tell. With any luck you're like millions of other people that has one leg longer than the other (walking legs, not the other one ..... perv! ) and it won't make a difference. It won't make any difference, and I doubt that you will notice. Brad, nobody can feel a difference of 1mm between their cranks. Honest. Nobody. If it did not say "171mm," you never would have known. #1, it will make absolutely, positively no difference. #2, measure the actual length from inside the spindle hole to inside the pedal hole. This may ease your mind. #3, put a 1mm shim under your cleat if it really bothers you. it's more than 1/2 a percent difference. most seasoned single speeders can feel that variation. adding a shim would only make your pedal stroke in line on the down stroke and 2mm higher on the upstroke. let's not make his problem even bigger than it already is! i can feel the difference between 170 and 172.5 crank arms. this might be possible to notice, or worse, it's so slight that you don't really noice, but at the end of a long ride one leg is more sore than the other or something. on the other hand you'll probably be fine and if it were me, i'd just give it a shot, and see what happens. Garbage. Measure a bunch of cranks and I bet you'll find a variation of more than 1mm. Manufacturing tolerances aren't that close. I said add a shim only to ease his mind. Nothing needs to be done, nada, zilch. It's a non-issue unless the OP or anyone else wants to make it one. What should i say if i'm into many gods and only one Gear? It's much less catchy. I have one leg shorter than the other, so I have played around with crank lengths extensively on both legs. I can tell the difference if it is 5mm. 2.5mm, I thought I MAY have, but it was so slight that it could have been psychological. 1mm? Are you kidding me? There is NO WAY someone is going to detect a 1mm difference. Nor is it going to cause you any problems. As others have said, you have greater variation in many other places. 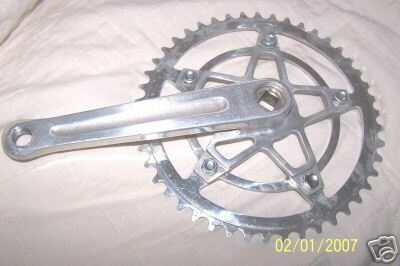 I would be interested to see the variation in similarly labeled cranks. Your shoes could vary that much in the thickness of the soles. Your legs are probably at least that much different. I would not think twice about using it. I used to have a cannondale mtb that I ss'ed to commute on and discovered after putting ~1700 miles on it that I had a 175 right crankarm/172.5 left. I know I wouldn't notice 1mm. As much as a 5 pointed star looks like a 6 pointed star. How about 0G1G? That may flow better. Is less better? Then i win! my first GF sugar came with a 175 and a 170 arm combo. never noticed it until i replaced the BB 2 years later. I rode a bike for a couple of months before i was informed they'd be incorrectly sent out with mismatched 175 and 170mm arms! I would have thought i'd notice but i didn't.... it was also a Kona btw, a Unit, but apparently it was Raceface's mistake. yeah i think 3 out of 4 have different leg lengths. If you don't notice it, then nobody else will either.